From Stornoway take the A859 just prior to Leurbost, approximately 8 miles or 13km from Stornoway. 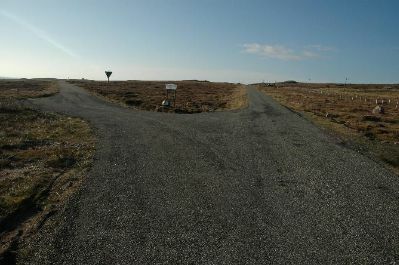 Turn right onto the A858 just past the garage. From Tarbert take the A859 signposted for Stornoway; just past Leurbost (approximately 30 miles) turn left onto the A858. If you come to the garage on your left and the school on your right - STOP! You have missed the junction - time for a quick 'u' turn! 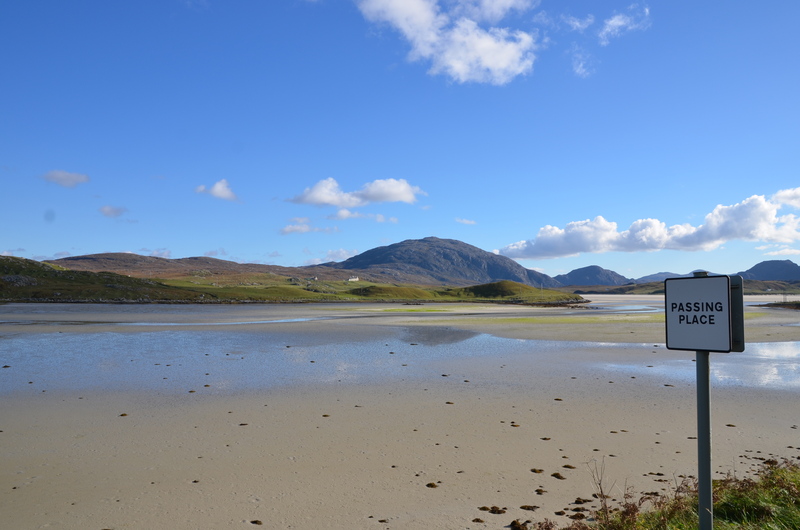 You are now heading towards the best part of Lewis - I know we are biased but it is true! 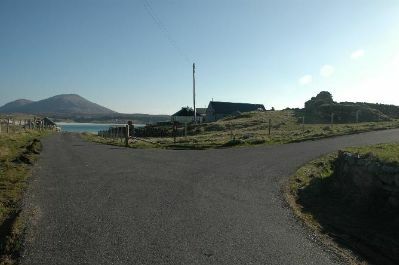 At Gearraidh nah Aibhne in approximately ten miles or 15 kms,take the left turn onto the B8011, signposted ’Uig’. 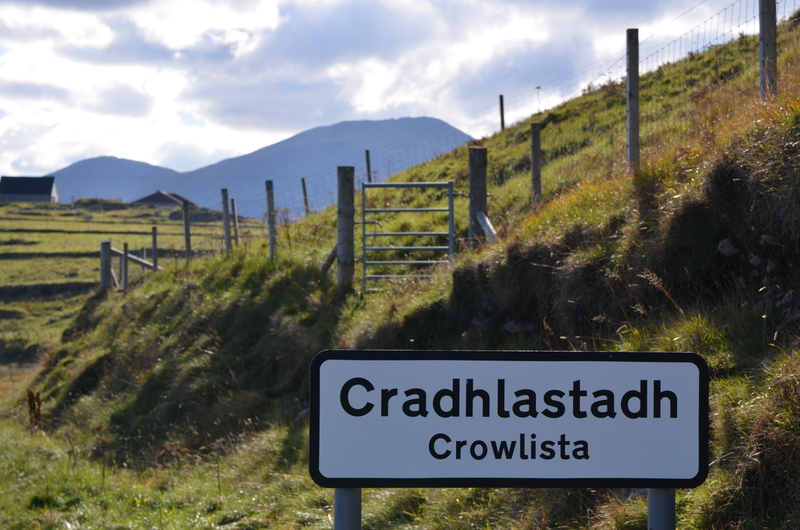 Follow the road for approximately 17 miles or 27kms, until you reach the sign for Cradhlastadh at the top of the steep and rocky Glen Valtos. Turn right, head up the hill, keep bearing to the right, past the new buisiness units (doesn't sound romantic, but done in the best possible taste!) and turn next left here. 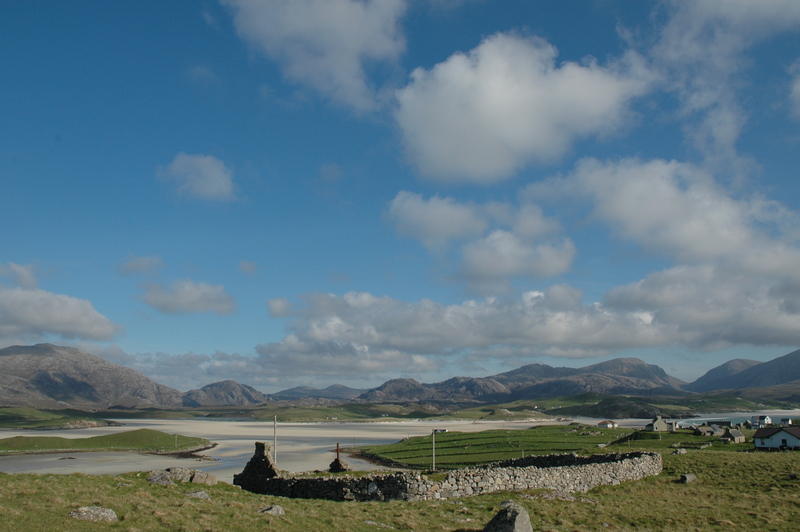 OK, I don't see my first exhibition of photographs featuring 'Great Left Turns in Lewis' but at least you will know where to go! The sign usefully says 'Cradhlastadh' and Mrs Wade has added her own little touch by decorating a metal buoy found on the shore with the helpful inscription 'B and B'!! Follow the road for approximately 1.5 miles or 2.5kms until you come to the first junction - there is a red Post Box to look out for. Turn right here and follow to the end of the road - you have arrived! Find us on Google Maps Street View!! 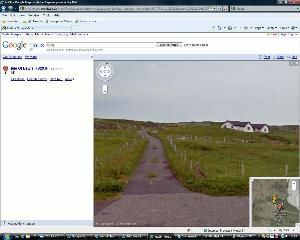 The influence of Google has even reached Uig! The camera vehicle visited in September 2009. There was a strong rumour locally that it was the TV Licence Detector van, which caused panic in Stornoway and led to massive queues at the Post Office as people rushed to take out their first ever TV Licence...... only kidding. The last section of road to our house is what is called 'unadopted' which is why the image stops about 100m short of our house. Type in HS2 9JF and follow your route, see the bay etc. New technology, eh? The City Limits - Turn Right In 300m!